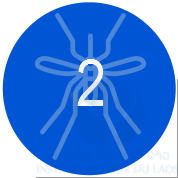 Lao People’s Democratic Republic (PDR) has made remarkable progress to reduce the burden of vaccine-preventable infectious diseases over the last 20 years. However, vaccination coverage remains challenging and is compounded by sometimes low vaccine immunogenicity in the Lao setting. The country has a high adult prevalence of chronic hepatitis B virus infections and there are outbreaks of vaccine preventable infectious diseases in all age groups. The pentavalent vaccine against diphtheria, tetanus, pertussis, hepatitis B and haemophilus influenzae type b is scheduled as part of the Expanded Programme of Immunization at 6, 10 and 14 weeks of age. We aimed to determine the immune response to vaccination (immunogenicity) in Lao children with documented three doses of the vaccine given at different levels of the health care system. 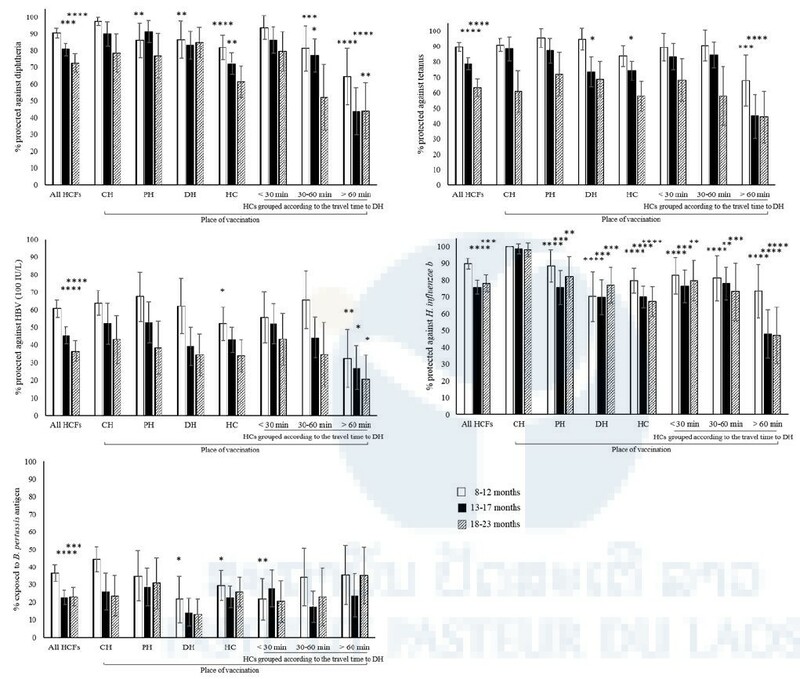 A first study regarding the vaccine immunogenicity of the pentavalent childhood vaccination was conducted in 2013/14 in Bolikhamxay, Khammouane and Vientiane province in 1131 children and a second one in 2017 in Bolikhamxay province in 819 children. Of note, those children in the first study had been vaccinated with pentavalent vaccine manufactured by Crucell. In contrast, those in the second study had been vaccinated with a vaccine manufactured by Serum Institute of India. 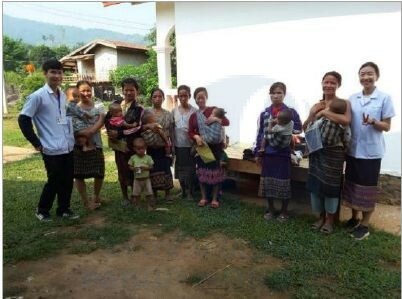 In 2013/14, seroprotective rates in Bolikhamxay province were as low as 37.73% for Hepatitis B, 52.57% against Tetanus, 55.23% against Diphtheria and 66.41% against Haemophilus influenzae type b for children between 8 and 28 months of age. In 2017, although responses to the vaccine were still lower than optimal, they had dramatically improved and were mostly above 70%. When the 2017 data was grouped according to the place of vaccination and the age groups, the response differed little between the Children’s Hospital, a Central Hospital in Vientiane, the Provincial Hospital in Bolikhamxay, and the District Hospitals in Viengthong, Lak Sao and Pakkading. However, protection was still suboptimal particularly in remote settings when health centers were grouped according to the travel time to the nearest district hospital. Children that were vaccinated by more remote health centres significantly less likely to be protected against Diphtheria, Tetanus and Hepatitis B. Therefore, in addition to low vaccine coverage, relatively low response to vaccination remains a concern at least in remote parts of Lao PDR. Our findings suggest that many children are still at risk despite a full course of vaccination and protection rates tend to be lower in more distant and hard-to-reach settings. The limitations of these conclusions are that they are based on only selected districts in the Bolikhamxay province and only children with documented three vaccinations were enrolled and therefore any flaws in documentation may appear as low vaccine response e.g. they may have received less than the 3 documented doses. In order to address the lower levels of seroprotection in hard-to-reach settings, we recommend to review and strengthen vaccine management with a focus on the “last-mile” of the supply chain regarding administration of the vaccine (e.g. sub-cutaneous versus intramuscular), the training of the staff, transportation and cold-chain equipment. In addition, the introduction of an additional booster dose at 18 months of age (at the time of the second measles/rubella vaccination) in particular in remote settings should be considered. A booster dose of the pentavalent vaccine could help to fill the gaps in coverage (catch-up) and may also boost immunity in those already vaccinated, counteracting the waning of protective antibodies. Children in remote areas are less well covered by vaccination and in general they may be more likely to be exposed to vaccine preventable diseases and have more difficult access to health care. Our study suggests that are also more likely have a lower response to the vaccine. This requires further attention since 71% of the population live in rural areas and an estimated 70% of the children are vaccinated through outreach services, which are primarily focusing on populations in remote areas. It has also been shown in Lao PDR that vaccines are frequently exposed to temperatures outside the recommended range after they left the provincial storage facilities. Thus, a focus on remote areas would improve the coverage and management issues that our study and others have identified. By including an additional vaccine of DTP-Hep-Hib into the Lao routine schedule particularly for this vulnerable population, it would act as a catch-up for those that were missed earlier, and boost those that received the early doses. 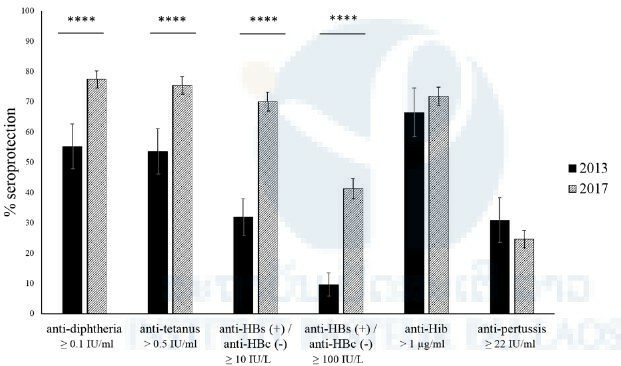 The pentavalent vaccine from Serum Institute India (currently used in Lao PDR) has been shown to be safe and immunogenic in 15-18-month olds. Booster vaccinations against tetanus, diphtheria and pertussis as part of the immunization schedule are successful in prolonging the duration of protection. Neighbouring Asian countries have adopted DTP booster vaccination doses in their immunization schedule. Thailand includes a 4th and 5th dose of DTP at the age of 1.5 and 4 years and the 4th dose of DTP is part of the schedule in Vietnam as well. Of note, WHO recommend DTP-containing booster at 12-23 months and GAVI are currently considering support of this schedule. Hepatitis B booster doses do not seem to be part of the current booster vaccinations in either Thailand or Vietnam. Present vaccination recommendations do not consider booster doses to be necessary; however, the discussion is still ongoing in respect to country specific circumstances. The inclusion of Hepatitis B in the form of the pentavalent vaccine could have an additional benefit given the high levels of chronic infection in Lao PDR and the associated risk for children. Furthermore, low levels of pertussis protection (unpublished study) and reports of diphtheria outbreaks emphasise the importance of boosting coverage and immunity to these diseases. A manuscript of these data is being prepared and the findings were formulated as a policy brief that was sent to relevant stake-holders including the World Health Organisation, UNICEF, the Ministry of Health and Luxembourg Development Corporation. Figure 1. Comparison of the serological profiles of children aged 8 to 28 months enrolled in Bolikhamxay province in 2017 and 2013/14 (Evdokimov et al.,2016). Serpoprotection rates are displayed with 95% confidence intervals. The cut-off for seroprotection (exposure) is indicated underneath each set of columns. **** = P ≤ 0.0001. Figure 2. Seroprotection according to place of vaccination in children aged 8-23 months grouped into three age groups: 8-12 months, 13-17 months and 18-23 months. Results are displayed with 95% confidence intervals. Only those children that were vaccinated with all three doses by the same immunization service either at a Central hospital (CH) in Vientiane Capital, the provincial hospital (PH), the district hospitals (DHs) or the health centers (HCs) were included in the graph. The HCs in the study in Bolikhamxay were furthermore grouped according to the travel time to the DH during rainy season. Immunity was considered protective as described in methods. Seroprotection rates among all health care facilities (HCFs) combined were compared to the youngest age group, while seroprotection rates between places of vaccination were always compared to the same age group at the CH. * = P-value ≤ 0.05, ** = P-value ≤ 0.01, *** = P ≤ 0.001, **** = P ≤ 0.0001.